Peter Nelson, Robert Olson, and Zach Valois were awarded summer research fellowships (SURCO’s) to work in the lab. This will provide a great opportunity for them to gain lab and field experience. 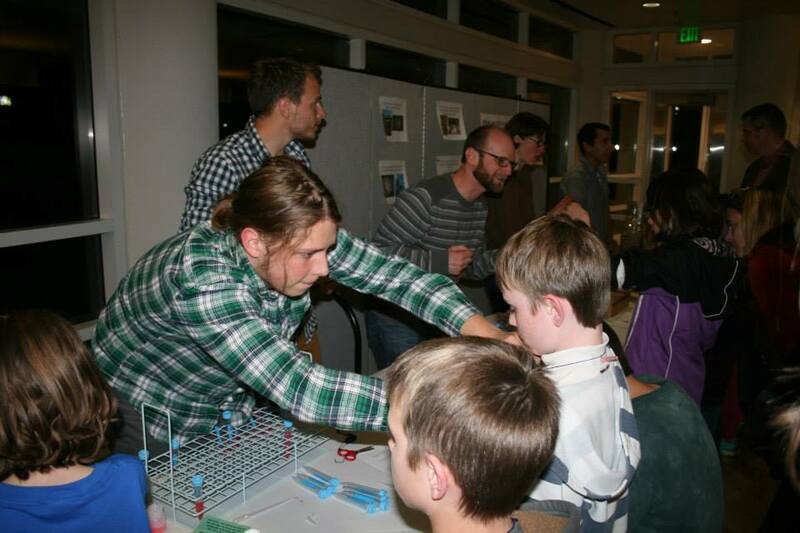 Zach Valois was also awarded research grants from USU (URCO) and from the American Museum of Natural History (Theodore Roosevelt Memorial Fund). 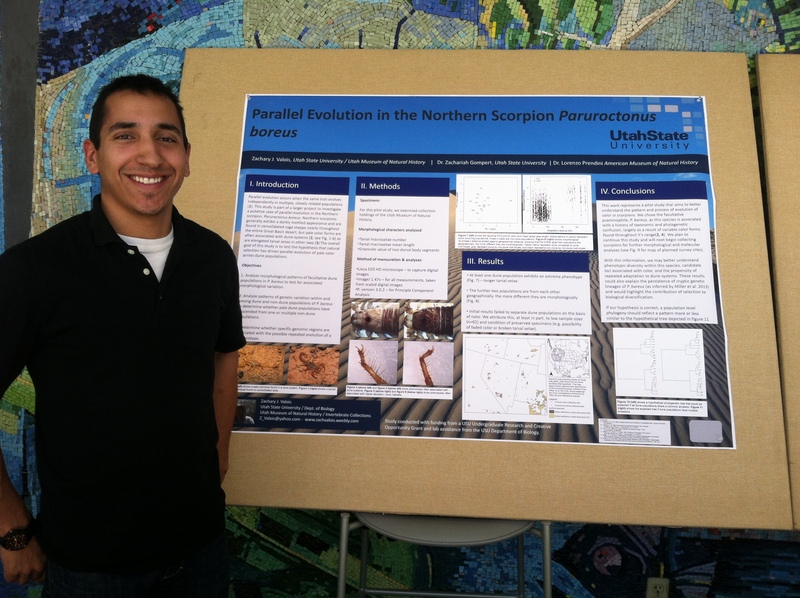 Zach presented preliminary findings form his funded project investigating parallel evolution in the Northern Scorpion at the USU Department of Biology Spring 2014 Undergraduate Research Symposium (pictured below).